Council member Tim Rosener's informal poll shows strong community support for the new skate park. 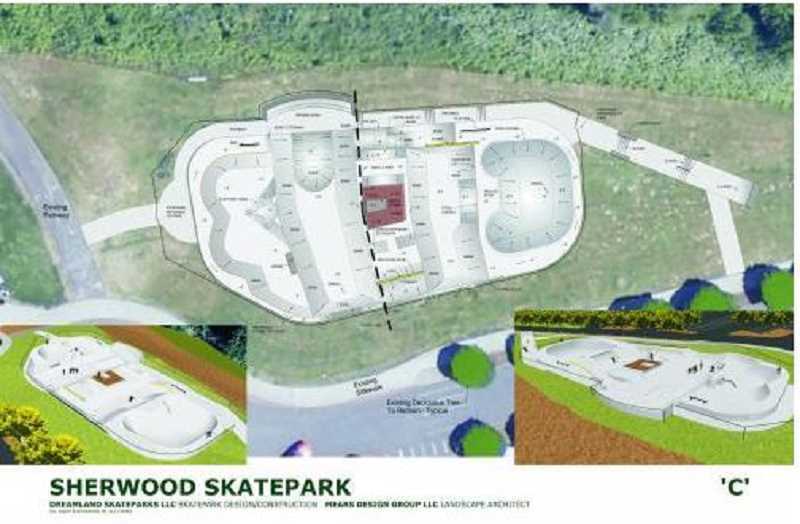 The Sherwood City Council voted unanimously to move ahead with plans for a new skate park at a Tuesday, Feb. 20 meeting. The skate park will be located on city-owned property adjacent to the Teen Center at the YMCA. The city now will submit an application for a Local Government Grant from the Oregon Parks and Recreation Department. The skate park will cost an estimated $543,356, and the grant requires the city to pay 40 percent matching funds — so Sherwood will ask for $326,014 from the grant program, and provide the additional $217,342 from its parks fund. The city will find out if it received the grant this September. The city also submitted a land use application for a minor modification to an approved site plan to the Planning Commission earlier this month. The Planning Commission likely will make its decision in April. "We'll go through the land use process, and hopefully get an approval, and then wait to hear from the state on the grant," said City Manager Joe Gall. Gall added that if all goes according to plan, construction crews could break ground on the new skate park in spring or summer of 2019. Prior to the Tuesday meeting, City Council member Tim Rosener had conducted an informal online poll to gage community interest in building a skate park. Of the 385 people who took the poll, 310 of them supported the notion. "Ten years ago, there was an incredible grassroots effort led by the kids in our community to get a skate park," Rosener said in an email to the Gazette. "They collected 1,200 signatures and lobbied the Parks Board and Council. At that time we were not able to get the funding. Fast forward ten years, we have a path toward to funding, so it is time to move the project forward." Rosener added that "Doing the research, polling the public and making those results public, was my effort to understand the wishes of the community before voting." He plans to use this polling method more in the future when it comes to issues of growth, public safety and economic development.